I've been working on this concept for a few months now in my head. This project is originally to be made with the RPG Maker VX but with Stencyl hopefully I can add in all more features. Though I might still make it with the RMVX to get it started. The plot follows a pseudo-amnesia male Protagonist that awakes up in another world, only remembering his name fully (which the player gets to rename the default name, both first and family name and gets to choose one or two bloodline types for unique educational fun facts later on, ex. American and Japanese descendant) and vaguely recalls his family but unsure if he has parents of not. He awakes to his surroundings in a forest until he is suddenly attacked by the strange "shadow monsters" the recently plague the world he is in, and his family heirloom the 8-point Yin & Yang theme star pendant transforms into a pair of twin swords for no reason and force to defend himself first thing in the morning! Please note the plot isn't suppose to take itself seriously, being a light-hearted and humorous story with character poking fun at each other and relaxing regardless of these mysterious creatures causing trouble though they're some dark humor and elements from time to time but nothing too seriously. Like for example a boss character is stating how awesome he is and the party just shrug it off and ask if anything interest happen at all or hobbies they like with the boss character crying and yelling at them to pay attention to it. Basically the player gets to pick if he has parents and/or siblings, so in a sense the player controls the Protagonist's history which can be canon in their own way and they get to appear later on in the story (if neither for parents and siblings his uncle appears instead) and gets to pick his responses to other character so you can come off as friendly, sarcastic, funny, supportive, random, etcetera to define the Protagonist's personality... though his personality is semi-set. A turn-based side-view battle RPG with 4 party members on the field. Four Difficulty Levels (Easy, Normal, Hard, Lunatic) with the fourth option only unlocked after beating the game once that affects enemy stats, experience gain, and drop rates. I'm planning on allowing the players to change the difficulty settings in the Options menu in case they find the game too hard and want to tone it down or they simply just want to view the story at a faster pace. -Health Power (HP) the amount of stamina the character has left. Once it hits zero the character is knocked out (K.O) and cannot participate in battle any further, though they can still gain EXP but at half of what they originally were going to get. -Strength (STR) to determine character's physical power. Ki-based attacks/weapons uses the Strength stat for their attack strength. -Spirit (SPI) to determine the character's spiritual power for their spirit and energy-based attacks. Magic-based attacks/weapons uses the Spirit stat for their attack strength. -Aura (AUR) to determine the character's spiritual endurance to reduce damage from spirit and energy-based attacks. -Speed (SPD) to determine the character's ability to strike first. The higher the speed the more likely that character can attack first in battle. -Experience Points (EXP) determines how much experience the character has and how much they need to go to the next level. Party Members in reserve get 1/2 of the EXP they would of gotten in battle and the same applies to Party Members knocked out as well. Over 60 different Party Members planned! Only 4 active in battle and the rest in reserve with the Reserve section having no limits on party members, and separate between pages to select your party member. Protagonist is locked to the 1st Party Member slot and cannot be removed, except through scripted events, leaving only 3 party members to switch in or out. Beating the game unlocks the ability to switch the Protagonist in or out AND you can use any Party Members you've unlocked the first time anytime anywhere regardless if they haven't appear in the story again in NG+! Visual Novel-style dialogue, complete with Character Body Portrait (except for all NPCs, save a few), on the right side of the dialogue box, to display who is talking and to express the character's expression. CG-like and/or Anime-like picture cutscenes for some events. I don't know about an animated opening, but I have in mind telling the player right from the start the story is set in one of many parallel worlds/stories and this is how this world is viewed so it doesn't conflict with the canon story, fanfic stories, etcetera and how is differs including how you see it. Unique Weakness system covering three parts; Attack-Type (Slash, Strike, and Pierce), Element-Type (Fire, Ice, Water, Thunder, Wind, Earth, Light, Darkness, Divine Darkness (Protagonist-only element), Energy, Physical), and Energy-Type (Ki/Chi, Magic). Target the enemies' weakness to deal additional damage, and nailing all three of the weakness pays in the end to end the battle. However the same rules apply to the party as their body armor have weakness to certain elements as well. 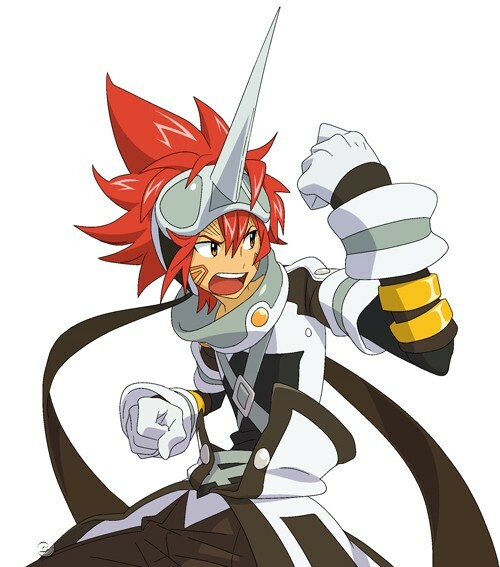 Attack-Type is tied to the weapon's fighting style; example Sword for Slash attacks or Fists for Strike attacks. Energy-Type is tied to the flow of energy or power use for uses; ex. Martial Arts uses Ki energy (Physical Energy), and Magician uses Magic energy (Mental Energy). Quick-Time Events (usually for boss fights, before them to wear an enemy down or after the main battle to deliver the final blow). Weapon Leveling system where you get Weapon EXP from using a weapon to defeat enemies and making them stronger and unlocking new abilities. The max level for all Weapons is 7. Character and Weapon Skills tied to the Weapon and Character tie to their level and Limit Point system (you gain EXP for levels to increase HP and SP, LP for Limit Points to unlock new abilities, both passive and active skills, and WEXP for Weapon leveling to power up the weapons and unlock new Weapon skills). Character Power-Up/Transform abilities, character either have a transform ability to completely change their appearance or simply a power-up version of them with a white aura called "Unlimited Form". Each character has one form that increases all stats, while the Protagonist has two unique forms that one focus on using Ki primarily with heighten Speed and Evasive with lower Defense abilities and the other Magic with heighten Strength and Defense stats with lower Speed and Evasive. A Friendship System with five levels which causes different scenes to play out with the characters (Friendship levels go from; Acquaintance, Friend, Good Friend, Best Friend, Inseparable) and unlocks Tag Team moves and unique character endings. Also when you max out a character's friendship you can gain a special Character Skill tied to the friend you maxed out, each special skill tied to a certain group (for example, if you max out a character from a group of vampire you gain a HP Draining skill or another group solely mages where you gain an almight attack spell), but you can only gain one and lock out the rest and you lose the special skill upon NG+. Unique Talk options for the NPCs, both playable and non-playable, including Talk (just talking (even getting information sometimes)), Request (these are your Side-Quests, Party Members ones are usually 3 or 2 in total for each character and NPCs just 1), and Gift (only reserved for the Party Members and special Story Characters to boost friendships, you pick from the list of items that are gift and if you have them too). Unique enemies that can copy the abilities of the heroes and use it against them, 3 active skills and 2 passive skills (it randomize each time, so even if you face the same enemy that will have different movesets each time). As well as randomize stats set to scale between parameters, such as Strength between 10 - 15, each time you enter battle so even if the enemies look the same each one has their own stats and skills to use! Study and figure out which enemy is the most threatening and take them out or the minor enemies! Be careful as there's an off chance they you might encounter enemies with very high stats at the same time AND tough skills to overcome. 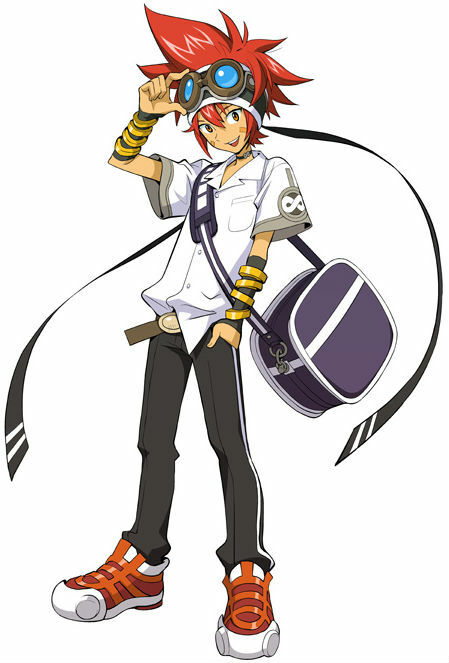 However not ALL enemies share the random stat and skills feature, and enemies cannot use skills from other characters until you've encounter them or have gain them as party members (except the Protagonist is the rare exception, going to be tough to figure out how to omit his skills from the enemy random skill ability). Super Rare random blue-colored enemy, a rare blue-colored version of the enemy that appears on the field (though it's a 7% chance of seeing it and can be missed) and triples the amount of EXP and Money is earned! A unique map travel system where you hover over an area to explore and to get to the next area by clearing the field (look at Inuyasha: Secret of the Cursed Mask for the PS2, the Map System like that almost). Both Post-Game and New Game+ content, along with Secret Boss battles and Secret Areas (hidden like in the original Legend of Zelda) and additional Party Members to unlock and secret side-stories available Post-Game and a secret skill for Protagonist to gain (but loses it upon NG+ as you can only be used during the final parts of Post Game content as it is game breaking skill that renders all difficulty to nothing but makes the final Secret Boss battle slightly more tolerable). In New Game+ you can carry over all the items, money, and equipment you've gain, including weapon levels, as well as retaining all of the Friendship levels (except for the hidden level which resets upon NG+ which is tied to the Character Ending as its marking). You are given the choice to even keep all of your characters' levels (Max Level is 99) or reset their levels to their initial level. Also certain skills do not cover over to NG+. Costume System, each character has 8 different costume to dress up for fun. 1P and 2P-like costumes, a swimsuit, a school-theme outfit, and several unique costumes. The Protagonist is a jack-of-all-trades character that fights in 7 unique weapon styles related to his pendant's Weapon Shift ability which affects his stats depending on what he's equipping and can change weapon mid-battle and out. Each weapon with their own define abilities to change the flow of battle in your favor. Dual Twin Swords: You start off the game with this weapon, for the tutorial battle, and is a pair of black and white twin swords. The strongest power-based weapon and additional abilities such as its "Time Control" ability link to this weapon which freezes a enemy in its circle for 2 turns (5 seconds canon-wise) and comes with very weak healing abilities and stat boost for attack and speed at the cost of spirit defense. A Ki-Element and Slash-Type Weapon. Dual Bladeguns: A versatile fighting form using a pair of black & white guns with blade equipped on them to perform a very weak Slash-Type move and a few teleporting attacks focusing of a balance set that doesn't excel other magic-based weapon forms. Can use weak forms of magic and capable of stunning enemies with its strike attacks (due to its passive ability on the guns) and can strike multiple enemies at once. A Magic-Element and Strike-Type Weapon. Lance: The fastest weapon style that excels at punishes enemies with high chance of critical attacks and high-level evasive to avoid any types of attacks with both active and passive boost abilities. Capable of having almost 100% accuracy hits, however can only use single target moves and energy cost are greatly for all special moves. A Ki-Element and Pierce-Type Weapon. Naginata: The black mage-style form, capable of using the highest levels of element magic for attacks, high level of defense making this form a tank against attacks, and summons the powers of the five great Japanese gods; Izanagi (Thunder & Earth), Izanami (Darkness), Amaterasu (Fire & Healing), Susano'o (Light), Tsukuyomi (Water & Ice). Though can only use a portion of their strength and not all of their strength resulting single target only support spell and few multiple target spells. Capable of covering the party with healing abilities and increase their magic abilities, but most the abilities focus solely on the caster. A Magic-Element and Slash-Type Weapon. (Fingerless) Martial Art/Fighter Gloves: The melee-class form in the form of black (on the right hand) and white (on the left hand) fingerless gloves martial artist use. Excellent form of attack, defense, and speed with balance stats this form excellence at using Ki-based attack that paralyzes and stuns its foes, with boost abilities to Ki-based attacks and defense, and its inherit passive ability to power-up the Protagonist's signature move "Crimson Chaos Beam" greatly the higher the weapon level is along with finger pressing Pierce-Type strikes. A Ki-Element and Strike-Type Weapon. Bow: The white mage and support weapon class that works well in the back. Capable of casting powerful healing spells, protecting the party with defense boost & barriers, and can cure aliments as well as enchant their abilities in battles. This weapon is capable of hitting multiple targets, but weaker doing so, as single target attacks are more powerful while cover all party members on the field at the same time. A Magic-Element and Pierce-Type Weapon. Scarf & Blade: Though originally just a scarf as the weapon, the scarf is capable of pulling out any kinds of weapons and items from inside the black underneath of the scarf that looks like the night sky. Armed with a ninja blade and a cloth mask, this form is a trap master with ninja-like movements and looks that covers all fields of attack but sadly is suffers greatly overall to cover all aspect of power by pulling out various items from the scarf including a scroll and writing characters on it to bring out spells and traps. Focuses greatly of predicting enemy moves and planning counter attacks to poison, snip away, lower stats, stun, freeze, burn, etc. by causing status effects that hinder foes and finish the enemy off by exposing their weakness. A weak Ki and Magic-Element and Slash-Type (default Attack command), Strike-Type (0 SP cost Skill move), and Pierce-Type (0 SP cost Skill move) Weapon. Weapon Shift is the name of the ability the Protagonist's uses to alter between weapons in battle (and can switch between them in the Equipment section by selecting the Weapon Slot to pick the weapon from the item page, as characters cannot go weaponless, to equip for usage (however the Protagonist is the only one to change weapons, everyone else has the same weapon that simply evolves over times and unlocks new weapon skills for them and become stronger to use)) and each of the Protagonist's weapon has the other six weapons in the Weapon Skill by default (LV1) as Zero Cost Skill, however it cost the Protagonist a turn to use this skill so plan carefully. 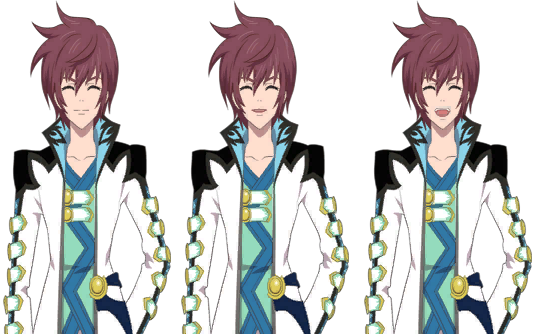 Example his Dual Twin Swords has the "Weapon Shift" skill "Bladeguns (Weapon Shift)" at the bottom of its skill list and the same applies to the following. Including a Special Ability called "Ability Cancel", tie to the Character Skill, that prevents the Protagonist from being affect by special attacks that cause status effects like the skill for example "Time Freeze" to "freeze" the party in place except the Protagonist and is higher immune to poisons and aliments remove them twice as fast compare to the rest of the party. However this works as a Double-Edge Sword ability as he can't receive power-boost from his party members like Strength Up or Evasive Up effects and cannot be healed by others like "Recover" spells and has to use either items to heal and only his own abilities to boost his abilities and heal his HP and aliments, albeit weaker version from the other party members. Though he can cast the same abilities on his party members, he can't receive the same treatment due to his Ability Cancel power... and sadly it cannot be turned off being permanently on. The Ability Cancel power is capable of sealing enemies' technique and spells for 2 to 3, but gain a cooldown effect after the sealing wears off to prevent the Protagonist from re-sealing them again for the next 2 turns (canon-wise the Ability Cancel effect last from 10 to 20 seconds and he needs to wait about 10 seconds to re-cast the ability on them again). The Ability Cancel can either seal abilities or reduce all of the enemies' stats by half however these two effects cannot stack on each other and won't work on each other. Plan on which effect the Ability Cancel you want to use to control the flow of battle, the Ability Cancel (Special) and Ability Cancel (Natural) skills. So pay attention on the Protagonist's HP and SP stats and watch out for aliments, and bring lots of items! Don't rely on the Protagonist all the time! He needs helps from the rest of the other Party Members who are use to fighting, especially the unique fighting system they deploy, until he unlocks the best of his abilities. 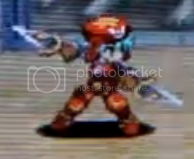 He also gains a special attack, called "Rebound: Right back at Ya! ", that absorbs Energy-based projectile attacks and redirects back to the attacker with twice the attack power (and speed, canon-wise but not gameplay-wise) but only attacks one enemy even if it was an Wide-range attack that targets all Party Members. It is a counter move and enters into a defense state and lasts one turn. Can't absorb Physical-based attacks. And he is guided by a strange entity inside of his body as his spirit guide. He freely uses both element types to easily target his enemies' weak points and such. He is neither weaker nor stronger than the other party members (as the others focus on the stats they excel at) and even endgame stat-wise he can hold his own but he still isn't the strongest character (though his speed stat is his highest). I'm still working out some of the key plot points, though I have to iron out a few things, but I already have the battle system ironed out already to make it fun and exciting plus challenging with enemies roaming the field instead of random encounters. This is a "fan-game" project, so it's just for fun nor do I have to take credit except for the original characters I use but I want it to be great! Maybe you guys know what it's going to be about if you notice the hidden tip! Once I get a bit more things going I'm going to look for spriters to help with the sprites (both characters (with Costumes including) for in and out of battles and NPCs, buildings and fields, etc. ), composers to help with the music, and beta-testers to look for bugs and other errors. Might be missing something, but it would be great to have some help fixing errors with my script to improve the quality of the story or check for spelling and grammar mistakes. PS: Sorry for the double post... ran out of room to type some more. 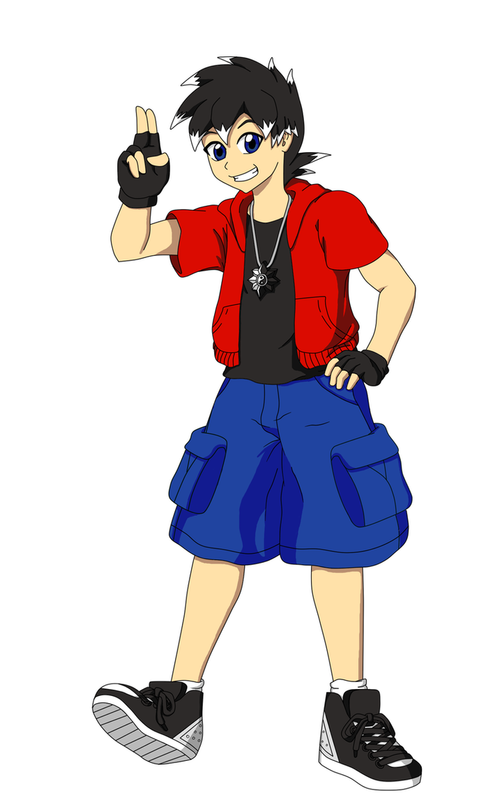 This is the artwork of the Protagonist, that I drew in Paint Tool SAI, that the player controls in the game, default name: Chris Corona, and the necklace you see around him is what transforms into his multiple weapons he wields. Each have a starry night glow to them, a Black colored with White Stars and a White colored with Black Stars. Please note I'm using the Kite sprite from the ToP: NDX game as an example of how I want the 2D Side-View Battle Sprite style of my characters to look when they fight so it's going to take some time to make them and it would quite a lot of work due to the over 60+ Party Members including the Costume changes... however I'm going to worry about just making the normal sprites first before I think of going into the Costumes right away. ^This one is basically an example of the character portraits I'm going to have for the dialogue, however the characters will be presented in a slight 3/4 quarter direction instead of facing forward and only two on the screen at a time with one of the right and one of the left, with the right being the default side for the character (or main party) to talk. Also I'm trying to get the same colors and appearance of the anime character designs here, but nothing. Hopefully I can get someone to help with the artwork and designs for the characters I have in mind when the time comes. I'll eventually have artwork for the main enemies you fight in the game, the ECHOES, and it will be the common enemy you fight most of the time and a boss-type ECHO. The default battle theme that KungFuFurby created for me by "remix" a music for the series this fan-game is based off of, I wonder if you can guess it? It's OK for me to post the music you made for me here for all others to get a sample of it, right? If not, I'll remove it just in case... I just don't want to post any of your work without permission, even if it's my game. I fear you may be getting ahead of yourself. Stencyl is not RPG maker...and even with RPG maker you would be looking at months upon months of work (even with imported ruby scripts). Youre going to have a LOT of work, and many more hours of trial and error ahead of you. I certainly do wish you luck, and I hope you prove me wrong. I have made thirty to forty tracks for these type of games... and even more if needed! Chris, as Gemini noted, it's pretty obvious you've got the picture in your head. I do sincerely hope that you're getting it saved somewhere safe. Also in echo of Gemini, you may be getting slightly ahead of yourself - as a programmer. However, don't let that deter you from looking at the options available to you while you build a solid design. With the myriad tools available - enough to easily confuse, I recommend you let your design tell you what it requires. Choose the tech for the job, not just what looks easiest. An RPG is a pretty expansive and deep genre, and one where most players will expect to be immersed. It's very good that you're putting so much thought into it. There will be lots of effort involved, and where it takes you, you may need programming skills beyond your commitment or current expertise - you know what you don't know. But I recommend a little doodle in psuedocode when thinking up mechanics. It doesn't matter what language you think in, as long as you fully understand the flow of what you want done. As you expand this, you will quickly understand the needs of your game and focus more on what tool can help you achieve that rather than getting wowed at all the bells and whistles you'll find while looking for the shallow learning curve. You already have your world in your head, and you're working hard to keep it balanced. Get a foundation under it. A ruleset or two proceduralising the trade-offs in a battle or NPC contact maybe. Perhaps jot down a class - which is not much more than a collection of "what I have" and "what I do"
In essence, unless you already know a language well enough - and you know it'll do what you want, I would not advise limiting yourself to any language or tool. Heck, if your design sings and is clear enough to visualise, you might find a programmer offering to take that workload off of you. And you'll have yourself a dev team. KunFuFurby seems pretty enthusiastic. It may be early days, but I'd feed off of that if I were you. Music might inspire more game, and vice-versa. Keep focus, your game is more important than your coding skills.